After a long day of football I made my way over to volleyball to watch Purdue take on Indiana. 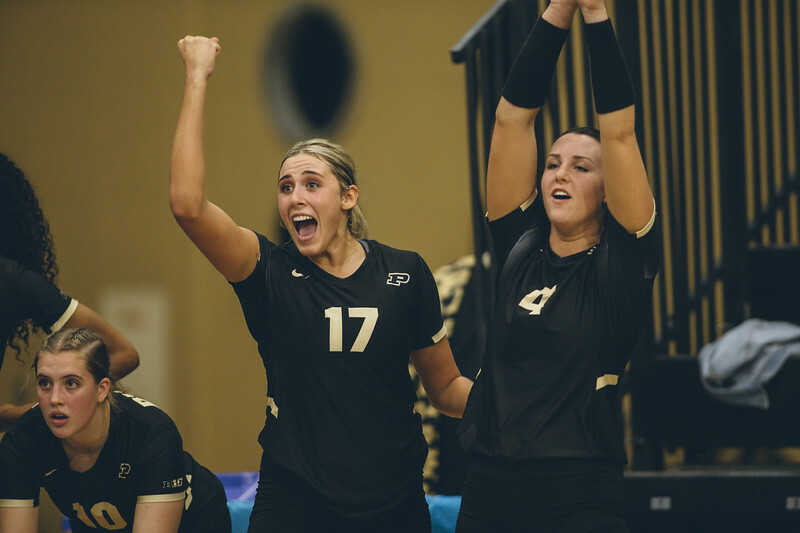 I really enjoy watching Purdue volleyball play, but watching them play Indiana for the Monon Spike is too much fun. 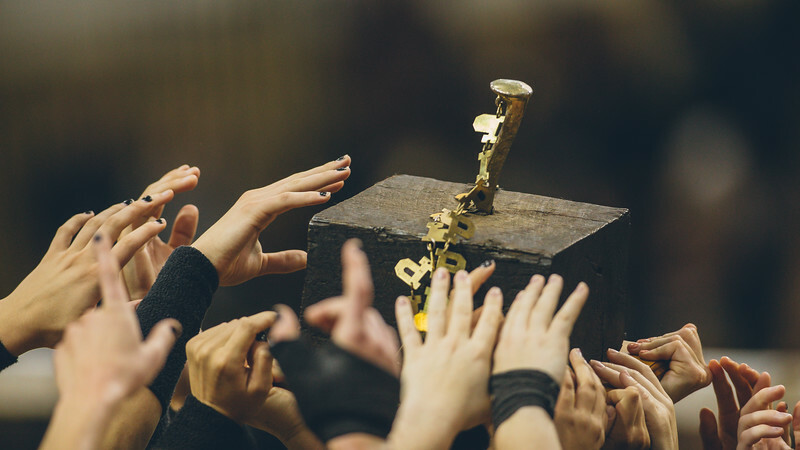 This is a heated rivalry for a cool trophy. You can usually throw records out the window as both teams really want to win. 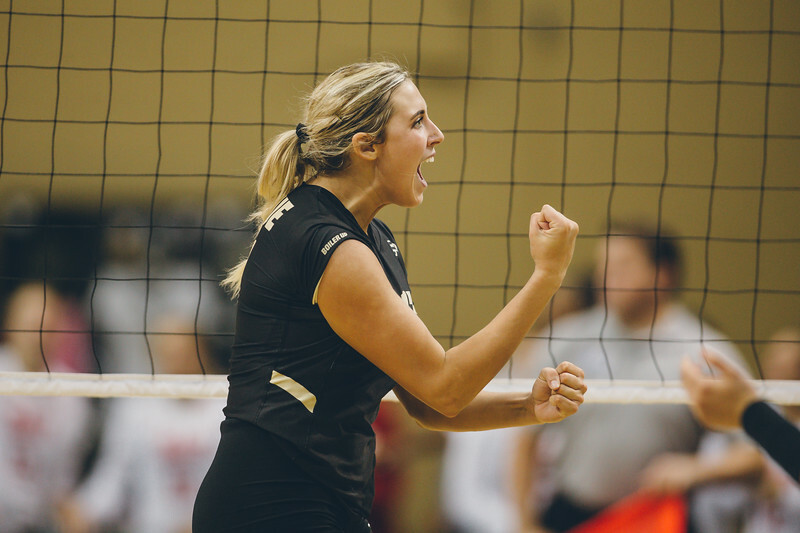 The match went five sets with Purdue finally pulling out the win in the end. After shooting all day with either my 600mm or my 24-105mm lens I decided to really change things up for volleyball. 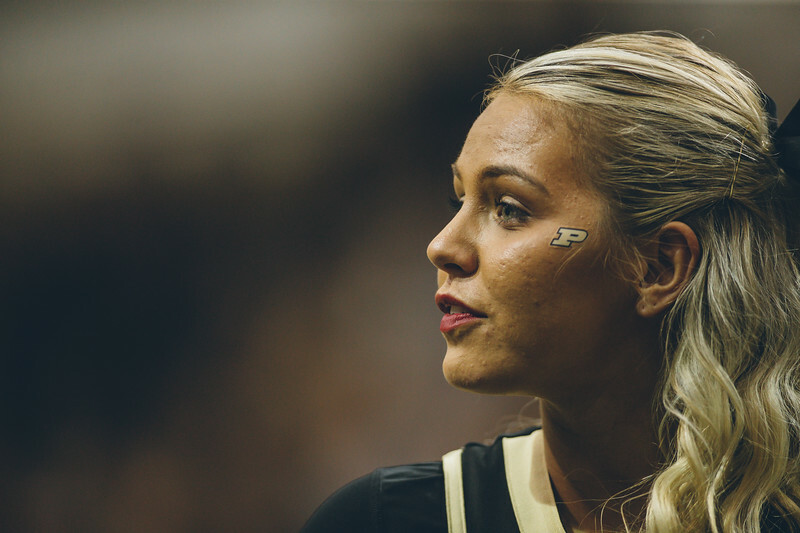 I took my 400mm into the game knowing that it would be all that I would shoot with. Charles Jischke the Purdue photographer was photographing the game, and I knew that he would nail the gallery which he did. You can view that gallery here. I decided to challenge myself and try and make some different images with my 400. It was a fun exercise that gave me some nice images. Late in the match I turned my camera away from the court and over to the bench. I had a great time photographing the ups and downs of the match as the players watching the game were living and dying on every hit. It was a fun exercise, and something that I need to do more often. As the season winds down, and I feel like I keep making the same photos all of the time it is nice to make something new. I know that I always say this, but last week was so much fun. You had some good images in the woods early in the week along with meeting a cool artist and documenting his latest project. Wednesday was Halloween and all of the images that they day brings. From Thursday night on I shot at least one sporting event a day. It was a fun and productive weekend that resulted in a much bigger gallery than normal. You can view my favorite images from last week here on my Exposure page.